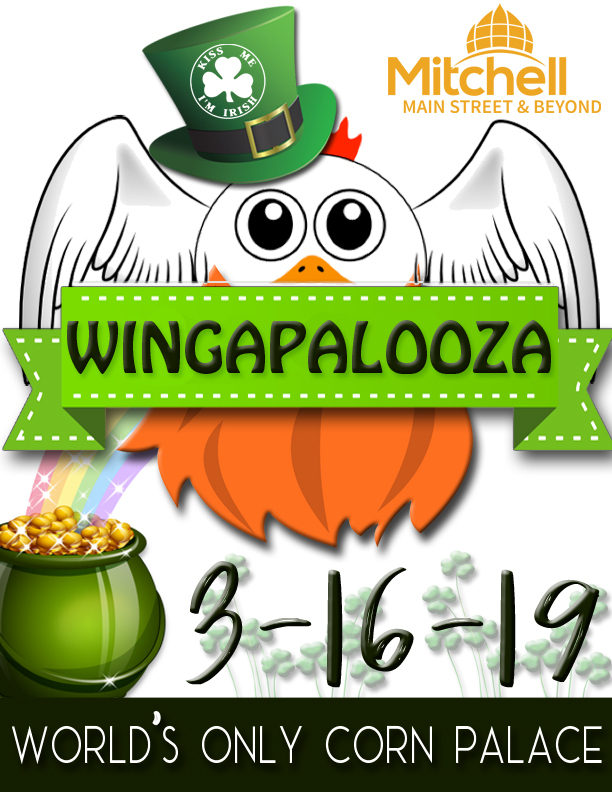 Join Mitchell Main Street & Beyond for the Seventh Annual Wingapalooza to be held on March 16, 2019 at the Corn Palace from 1pm - 4:30pm! Advance tickets start at just $12 each ($15 day of). ​Beverage cups are available for $15 each.